Rekindle your inner light or help brighten someone else's day. 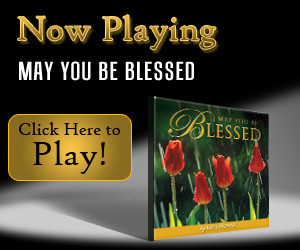 This beautiful movie is about joy, gratitude, appreciation, and kindness. Pinpoint one of four style preferences. Discover how style affects behavior. 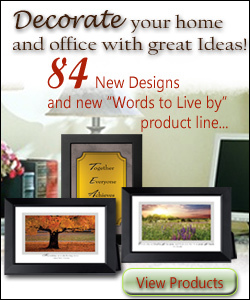 Recognize the strengths and weaknesses of each style. Learn how to interact with different styles. What's My Style is available in both Online and Print Versions. The Print Version is ideal for facilitators who prefer to oversee scoring and administration of the assessment, if you don’t know who the participants will be before the class begins, or if your learners do not have easy access to computers. It includes pressure-sensitive forms for scoring to aid manual tabulation. The accompanying Participant Guide includes interpretive information, worksheets, and action planning. The Neurolinguistic Communication Profile is an NLP assessment for management development training. Improves interpersonal skills and identifies a preference for auditory, visual, or kinesthetic sensory channels used to filter and communicate information. In our personal lives, achieving rapport with another person –“hitting it off,” if you will – leads to friendship, or even love. In our business lives, rapport leads to clear communication, accurate exchanges of information, fewer conflicts and misunderstandings, better teamwork, and greater productivity. 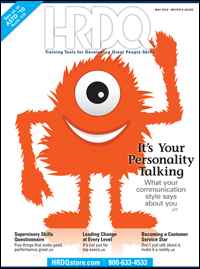 The Neurolinguistic Communication Profile (NCP) is an assessment derived from Neurolinguistic Programming, an innovative and very useful model for understanding the largely unconscious behaviors and predispositions that influence human communication and determine whether we will achieve rapport with another person. The NCP identifies underlying patterns including sensory-based preferences (visual, auditory, and tactile/kinesthetic), and offers practical insights into how to communicate more flexibly and effectively with others, regardless of their preferences. In a very real way, the NCP serves as a guide for reaching rapport quickly with people whose communication “styles” differ from one’s own. 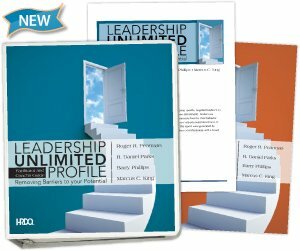 It can serve as a game-changing centerpiece for training on topics including management, coaching, teamwork, and sales. Learning Outcomes: Identify personal communication preference. Recognize communication preferences of others. Communicate more effectively with others who communicate differently. Discover how to increase productivity and motivation. Learn how to exchange information more accurately.Gain flexibility in striving to match another person’s communication style. The Neurolinguistic Communication Profile helps individuals discover and be consciously aware of the ways of communicating and dealing with information. Knowing this preference enables individuals to learn how to adjust behavior to match or fit another person’s preferred modes. One of the premises for Neurolinguistic Programming is that each of us filters our communication and thinking in systematic and learnable ways. Research shows that this filtering process occurs during sensory intake. Each of us has a preference for taking in information, organizing it in our heads, and communicating information to others around us. This preference is based on the habitual and systematic use of our primary sense organs — literally our eyes, ears, and body. The Neurolinguistic Communication Profile can be used as a standalone training instrument, or it can be incorporated into a more comprehensive program on communication or leadership. It also makes an effective component in training programs for a variety of topics, including coaching, management, and supervisory skills. The Neurolinguistic Communication Profile starts with a self assessment that takes individuals approximately 20 minutes to complete. Individuals respond to 65 items relating to communication.The result are scores in each of the three dimensions: Preferred Sensory Modality, Preferred Thinking Style, and Preferred Mode of Expression. Combining these results produces an Overall Communication Profile. If you intend to use the Neurolinguistic Communication Profile in a classroom training session, we recommend you allow approximately 90 minutes for interpretation of scores, topic discussion, debrief, and action planning. The Neurolinguistic Communication Profile Facilitator Guide includes everything you need to lead a successful training session from comprehensive background information and activities, to reproducible handouts and even a professional PowerPoint presentation. The Facilitator Guide also offers an easy-to-follow workshop outline that expands the Interpersonal Influence Inventory into a half-day program. We are in the middle of the first quarter of the year. This year, you may want to get organized, simplify your life, as well as learn to focus on priorities and get more done in less time. 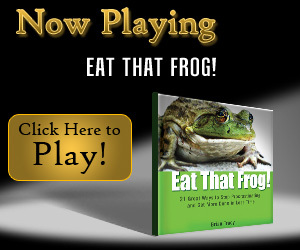 The answer is Brian Tracy’s book Eat That Frog book and movie. 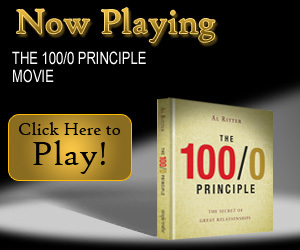 Enjoy this 2 minute movie that is loaded with unconventional wisdom and tips to stop procrastinating and propel you to reach your 2011 goals. Enjoy this short inspirational movie about the secrets to building great relationships. In business and in our personal life, the relationships we create are absolutely critical to our success.